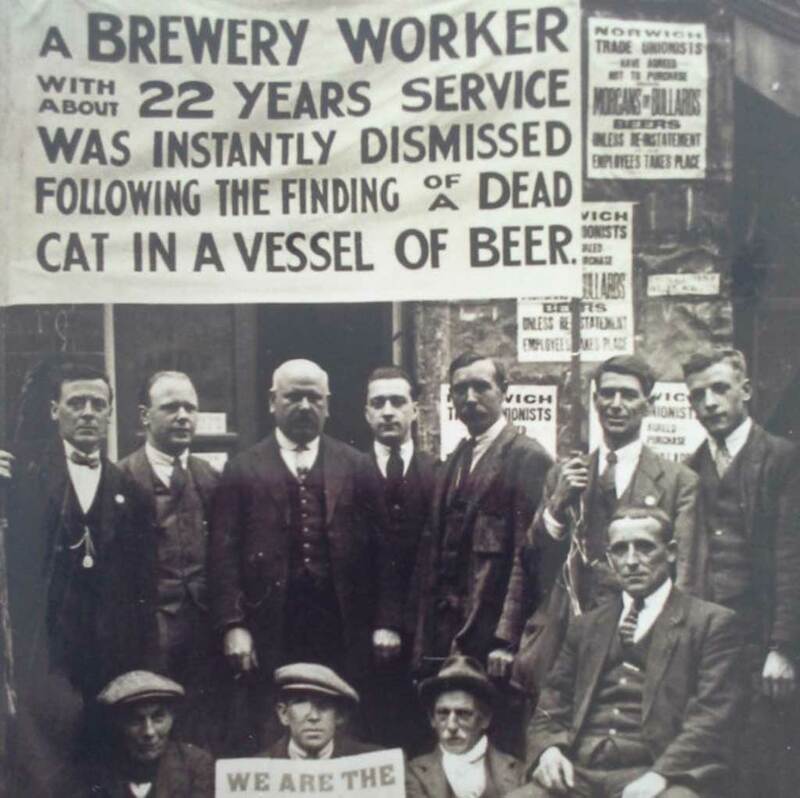 The mystery behind a photograph taken in the 1920s showing workers striking over the dismissal of a felllow employee due to a dead cat being found in a vessel of beer at a brewery has been solved. 90-year-old Victor Crowe says that the gentleman with the flat cap and patch over one eye, holding a placard at the front was his father. “I remember him telling me about the walk-out. “This resulted in the worker being reinstated,” said Victor. His father, Albert Daniel Crowe, worked at the big Anchor Brewery, the home of Bullards, in Norwich, Norfolk, where the strike took place. The men worked hard in tough conditions and they stood up for their rights. “Cats were part of the workforce. They were brewery cats to kill the rats trying to get into the sacks containing the malt,” says Victor.